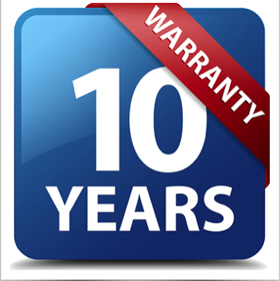 RJS Heating is currently providing a 10-year boiler warranty promotion on selected boilers. This boiler cover is available until 31st December 2019, and is applicable to selected new boilers in condensing range. Rob Senior of RJS Heating said: "RJS Heating always tries to bring its customers the best boiler cover with their purchase. We know the added peace of mind that comes from a lengthy warranty on an expensive, but necessary, item such as a boiler." Boiler breakdowns, although not common for newer boilers, can be costly. With a brand such as Vaillant, currently offering a 10-year boiler guarantee on their superb ecoTEC plus condensing combination range, RJS is delighted to say, "you'll sleep easy" with this purchase. Rob Senior continued: "This is also an ideal opportunity for those considering purchasing multiple boilers. Boiler cover for landlords is critical, as the investment level is high, and overheads must be cost efficient. Good boiler and central heating cover across multiple properties can make a huge difference, long term." Vaillant's ecoTEC plus high efficiency combination boiler range combines fantastic efficiency levels and high performance with great usability. Requiring no hot water cylinder or cold water tank in the loft, this combination boiler provides almost instant hot water delivery to your taps and fits simply and easily into homes, even with limited space. Using premium components for outstanding performance, and featuring innovations such as a new high efficiency pump for reduced energy consumption, this range of boilers offers quality, reliability and efficiency – the very best in home heating. The range is available in 24, 31 and 37kW output models. Don't miss out on this fantastic offer - Vaillant's 10 year boiler cover is only available until 31st December 2019, so act quickly!